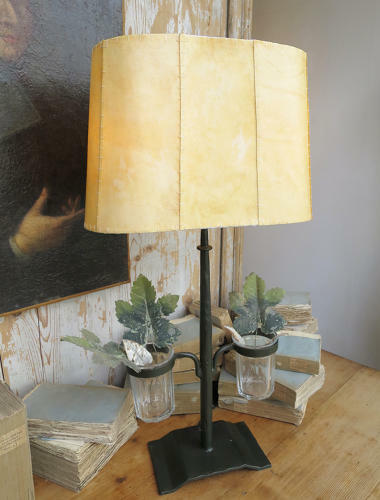 Wrought Iron French Table Lamp with glass jars for flowers and a hand-made parchment shade. These are newly made in France and make very attractive and unusual Side Lamps that will fit into many different styles of Interior Decoration. 1 currently in stock.........otherwise TO ORDER (available in approx. 3 weeks from order date) Full payment on ordering please.